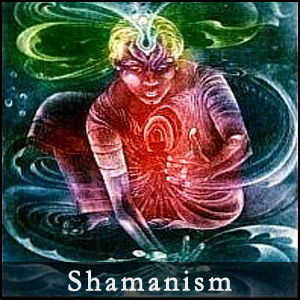 Shaman are spiritual beings with the ability to heal, work with energies and 'see' visions. The essential characteristics of shaman are mastery of energy and fire as a medium of transformation. Shamanism is a range of traditional beliefs and practices that involve the ability to diagnose, cure, and sometimes cause human suffering by traversing the axis mundi and forming a special relationship with, or gaining control over, spirits. Shamans have been credited with the ability to control the weather, divination, the interpretation of dreams, astral projection, and traveling to upper and lower worlds. Shamanistic traditions have existed throughout the world since prehistoric times.